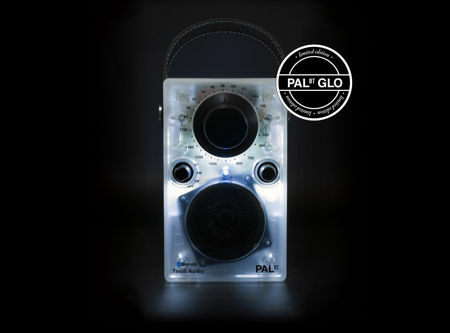 This PAL BT Glo will be very, very different from the other models, since this is a limited edition portable Bluetooth radio which is not only fun, but functional as well. The PAL BT Glo will boast of a clear frosted LED illuminated version, where such a classic product will now arrive adorned with LED lights, and these LED lights will be easily adjustable in order to set the right kind of mood. Not only that, Tivoli Audio has decided to throw in a leather carry strap in order to ensure that the unit ends up more portable than ever before. As its name suggests, this particular batch of PAL BT Glo will be a limited edition one, where there will only be 5,000 of such puppies rolling off the production lines, and needless to say, each of these units will be individually numbered so that you can be part of something special. The integrated battery is capable of delivering up to 10 hours of non-stop playback, and one will be able to switch it on and wirelessly to connect via Bluetooth in order to start playing without having to go through a complicated setup process. Other features include an AM/FM analog tuner, Bluetooth streaming, and Auxiliary input, and all of it will retail for $199.99 a pop.